Arundhati Roy’s debut The God of Small Things (TGOST) was a dazzling first novel, part-autobiographical, a story of childhood innocence destroyed by a combination of deeply riven social mores and the machinations of a disapproving family. The novel won the Booker Prize in 1997, and it announced with a starburst that a major literary talent had arrived. The Ministry of Utmost Happiness is Roy’s second novel, appearing almost twenty years after TGOST. In the interim, Roy has written about the many grassroots movements and mass agitations in India, using her considerable polemical skills in arguing for the marginalized, the lost causes, consistently taking anti-establishment positions. It seems but logical that Roy who has always held that her fiction and her essays are part of the same persona, should marry her skills and venture upon a polemical work of fiction, and that for its content, nothing less than the contemporary history of India will do. This is a novel which takes up, with righteous anger, a swathe of causes, from the “soft” social issues such as the plight of the hijras, or that of beagles dumped on the road by unscrupulous testing labs complete with tubes dangling out of their sides, to the “larger” political events and causes, including caste discrimination and violence, the Bhopal gas leak, anti-Sikh violence, the Gujarat riots, the rising saffron tide and cow vigilantism, the anti-corruption stir at the Jantar Mantar led by “old-man-baby-voice”, he of the “gummy Farex baby smile” — Roy’s sharp wit, observation and felicity combine in her pithy epithets for political figures — and finally the burning cause at the heart of this novel – the ongoing political unrest in Kashmir. 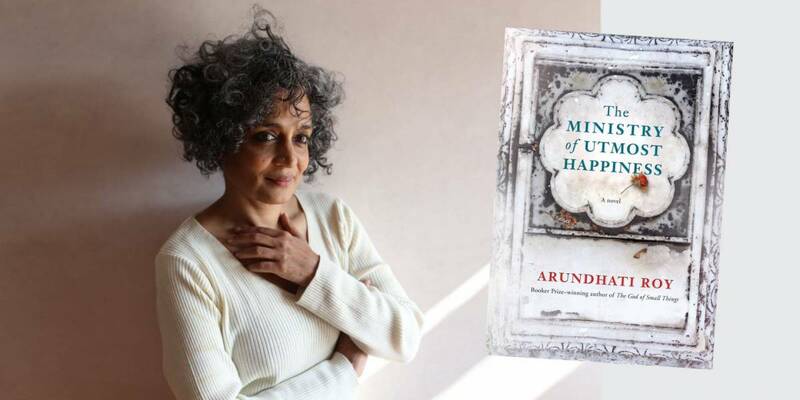 FT has described Arundhati Roy’s second novel, The Ministry of Utmost Happiness, as “Compelling”. Can Rushdie and Roy save the novel in the age of Trump and Modi?